Knowing how to mix watercolors is the key factor to achieve the expression and mood you’d like your artwork to produce. There are basic combinations of colors and subtle combinations of different color hues. The various combinations and the way brush-strokes are arranged produce the effect of an awesome harmony of the known before our eyes. 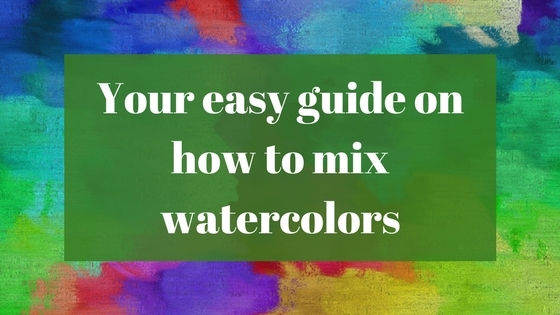 For a better comprehension of the process involved in mixing colors, I’ve divided this post into two main points: Color theory, and then the practical method on how to mix watercolors. Let’s discover the secrets that help us reflect on paper that beautiful painting in your mind. Colors are so dynamic and are our main raw material that will make an artwork of different color nuances arise. Understanding how colors work is key to know how to mix them further. To begin with our comprehension of color, there’s one simple while the important fact that we need understand. Three colors cannot be created by combining other colors. These are the primary colors: red, blue, and yellow. The combination of these primary colors gives place to secondary colors. For example, purple is the result of combining blue and red, orange results from red and yellow, and green from mixing yellow and blue. Keep in mind that these secondary colors might have different hues depending on the kind of primary colors and the proportion of each color mixed. For example, if you combine yellow and blue with a proportion of the 50% each color, it will make a green color. The more you add yellow, the lighter it will become, while the more color blue you add, the darker it becomes and tends to reflect a hue between blue and green giving place to an aqua green. The way to develop a more predictable color is experimenting with color mixing and play with the different hues colors can produce. Excellent advice is that if you find out that you are using a secondary color very often, it would be more suitable to buy the tube of such color. This way you won’t have to mix once and over again to get this color. There are a wide variety of different primary colors you can get. You can find slightly different versions of primary colors. Blue like ultramarine and cobalt, reds like cadmium and alizarin, for yellow, cadmium yellow medium and lemon yellow. The election will depend on your taste, the style, and mood of your paintings. There’s a feeling produced by specific colors that make us think of warm and cold colors. Red and yellow are considered warm colors, while blue is a fresh color. But even within the variations of red and yellow, there are some colors considered warmer or colder, for example, lemon yellow is regarded as a cooler color. It occurs to me that we can associate colors to specific elements, for example, red and yellow can be associated with the idea of fire and the metal glowing light red, while blue can be associated with the idea of ice. Tertiary colors —like browns and grays— result from mixing three primary colors, or a secondary color and a primary color. The desired tertiary color will depend on the proportion of specific colors. There’s a simple trick you can do to make a brown color. To a specific combination of to primary colors add the complementary—the left primary color. 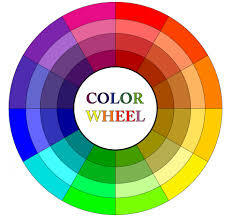 For example, add blue to an orange color, red to a green color and yellow to a purple color. To get a grey color, you’ll mix two secondary colors, like orange and blue, then add some white. But since white is not typical in watercolor, add some water. To get a gray color, you have to add more blue than orange. You can also do it by mixing blue and brown. The different grey hues depend on the proportion of the colors used. Again it is important to experiment to learn the right balance of color you’ll need depending on the grey you want to make. Each primary color has its complementary color. You can determine what it is by using a simple rule: The complementary color of a primary color is the color resulting from the combination of the other two primary colors. 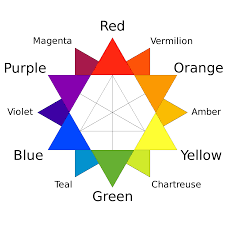 So, green is the complementary color of red, orange blue, and purple of yellow. The same way, the complementary color of secondary colors, is the primary color left that isn’t used in the combination. Now, you might be wondering why is it important to understand complementary colors? It has to do with how they relate when placed next to each other. The complimentary colors make the other colors highlighted making them appear brighter and more vivid. For example, the shadow of an object will usually have complimentary colors making it stand out in a composition. 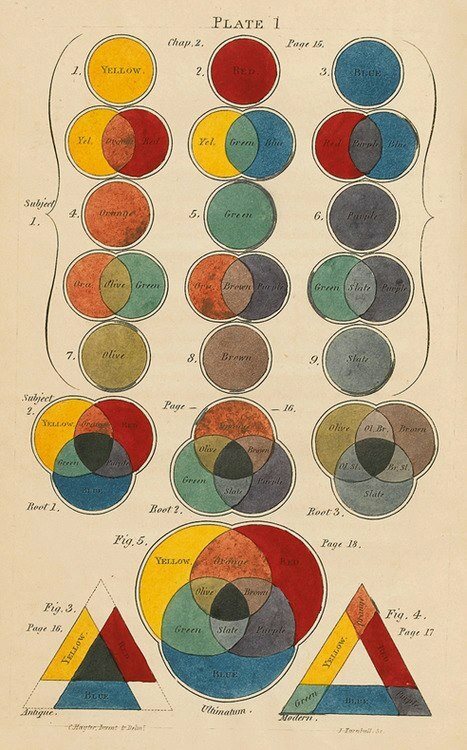 Understanding color theory will help you to predict the resulting color of a combination. 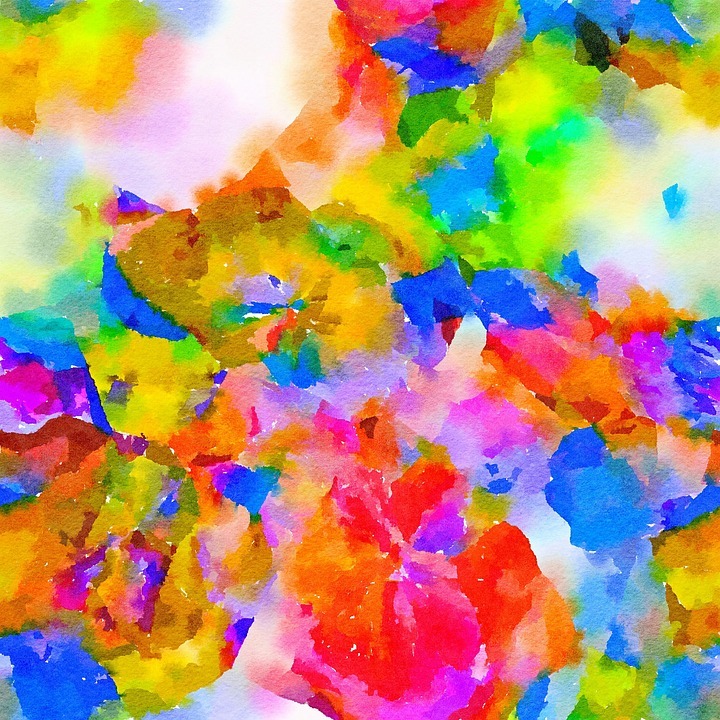 There are also different ways in which you can mix watercolors. Now, let’s see the process needed to mix watercolors properly. This way you can create uniform colors. This is used when you want to apply the same color evenly in specific areas. Decide on what color you would like to make. 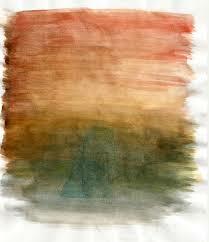 Wet your brush with water and load it with one of the primary colors you are going to use to make your new color. Stir the paint on the palette. Wash your brush with water and load it with the second color. Then dab the color next to the previous color and begin gradually mixing the colors to make sure you are adding the right amount of each color depending on the hue of the secondary color you want to make. Clean the brush again and mix both colors. If you see that the color is not getting the balance you want, you can make adjustments by adding more color depending on the desired hue. Once you have the color you want, you can start painting. You can apply colors directly on the paper to mix them. In such case you must use the wet on wet technique, previously saturating the paper with water. When working this way, the color texture won’t look so even because the color slightly strays with water. It is not expected to have an exact control when mixing colors this way. Some unpredictable effects are part of the expression of the painting. The more you practice, the more you discover the spontaneity and peculiarity of the technique. 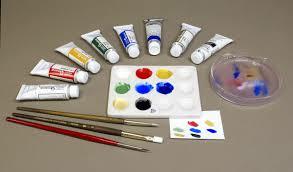 But whether you want to use this way of mixing colors depends on your style. 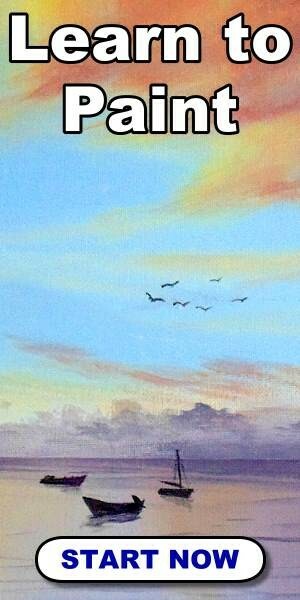 Another way to mix colors is by applying glazes. A glaze is when you overlap a previous color by using a wash of another color. This way you will still be able to discern the separate colors. It’s as if you are looking through a color glass the overlapped color. This is right what is intended with this technique to create a fantastic effect. Something fundamental to keep in mind is that the first layer must be dry before applying another color on the top. If the first layer is not completely dry, the color won’t be uniform, resulting in an effect different than expected. So, you must be patient and wait a few hours before applying the second color. What color tubes should I get? You have to get the three primary color tubes. As mentioned above, there are variations of this colors, but it just produces a slightly different result. So, you shouldn’t get complicated. Just experiment with the different available variations until you decide which are the most suitable for you. 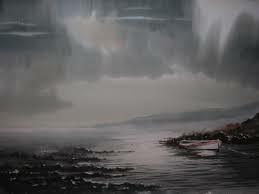 Or the election of one type of color or another can depend on the mood you want your painting to reflect. It is recommended to create the different colors starting from the primary colors. This way you’ll understand much better how colors work practically. For instance, you’ll develop your ability to predict more assertively a specific color hue. However, if you find out that you are using very often a specific secondary or tertiary color, then you can get a tube of such color, but once you are familiarized with the process of mixing colors. A mixing chart is a right tool you can use to learn how to mix watercolors and discover the possibilities you have with them. This is something significant when you consider that colors on the palette don’t look the same when dry on paper. 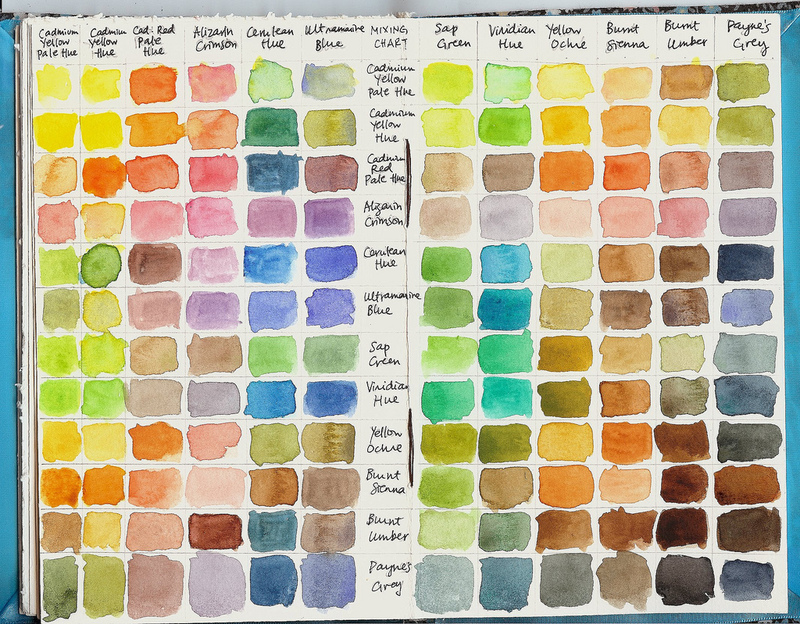 A watercolor chart can help you figure out how colors would look like once applied on paper. Start experimenting and discover the undiscovered world behind color mixing. With just a few colors you have the potential to replicate any desired color and hue to give your painting a specific atmosphere. Remember that as every skill this requires a lot of practice to get to master it and see the expected results.